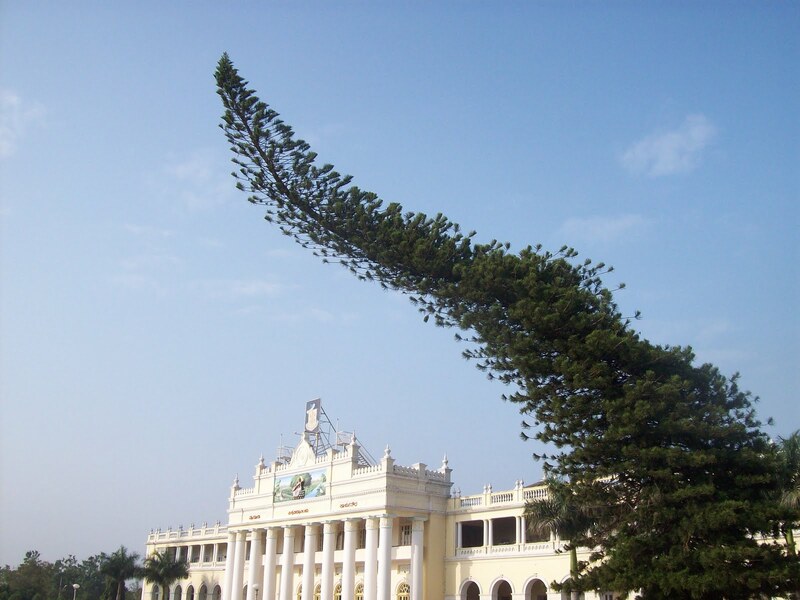 TheNorfolk Island Pine Araucaria cookii seems to be pointing to the sky vehemently in front of Crawford Hall in Mysore which houses the administration block of the Mysore University. Although the Araucaria is not a native of India, it grows happily to great heights in Bangalore and Mysore. 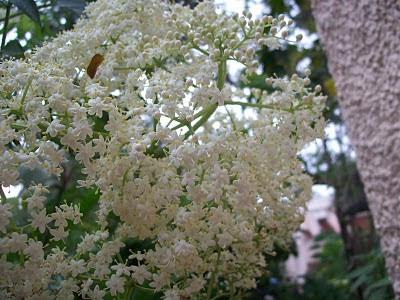 It is a favourite tree of gardeners of public gardens because of its shape and dark green colour. The Araucaria gets its name from Arauco district in Chile, which is its native place. The cookii part of its name is in honour of Captain Cook, who discovered the the tree in New Caledonia during his second voyage to Australia.The tree has hard wood which is sometimes used for building . Wish you a very happy and fulfilling New Year. 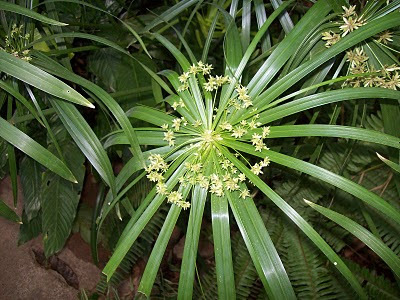 The Umbrella Sedge Cyperus scariosus is found in marshy places , and near river banks. It is a tuberous plant which can become invasive in a garden. Many types of butterfly larvae feed on it. The tiny seeds are food for small birds and squirrels. Egyptians used it for making papyrus. In Tamil Nadu, pretty mats are woven using this grass. The grass is also used in hair care products, since it encourages hair growth. 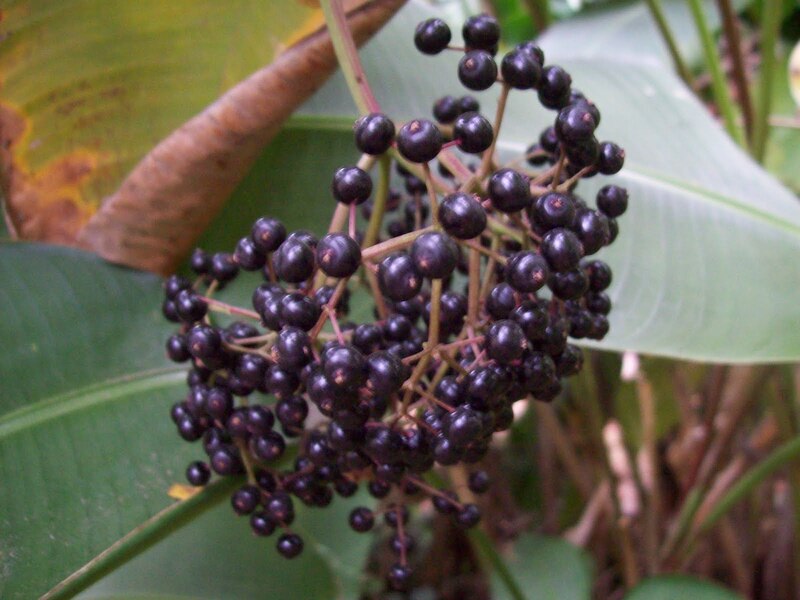 The tubers of this plant are used in herbal medicine to cure diarrhea and general weakness. The plant looks pretty when it is planted near a pond. 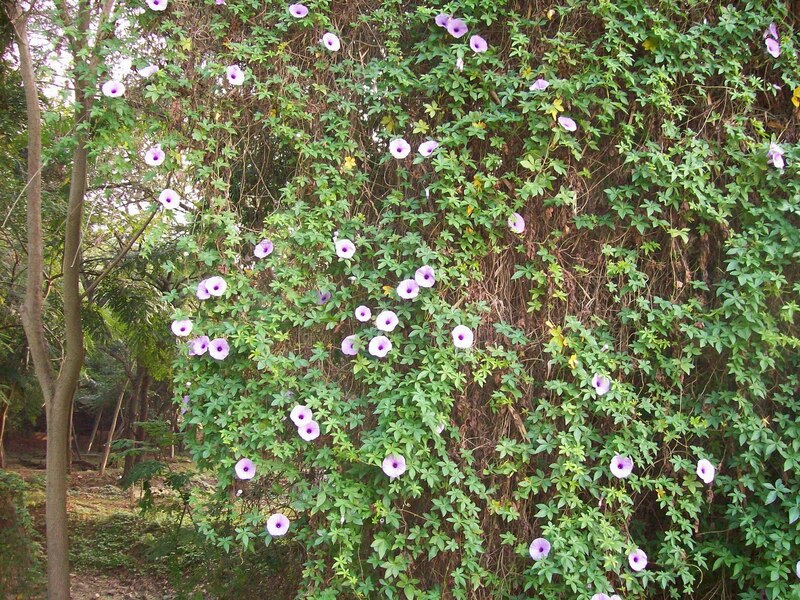 The Ivy-leaved Morning Glory Ipomea cairica is also known as 'Mile a Minute vine'! Because of its quick growth habits, it used to be planted along railway lines. It has leaves which are lobed. The vine flowers profusely in all seasons and gladdens the heart of the beholder. This specimen has covered a whole tree in the park surrounding a lake in Mysore. 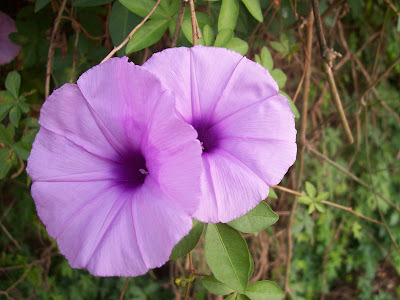 Being a native Indian plant, this Morning Glory is used in folk medicine. 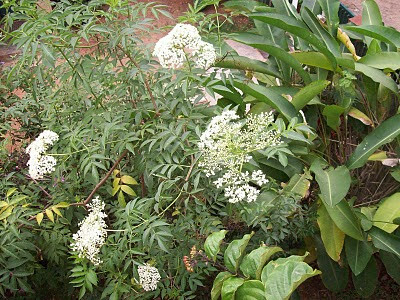 I understand that this plant is the American Elder Sambucus canadensis. 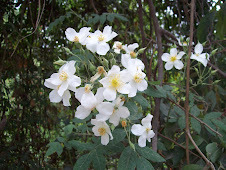 I got a cutting from a tribal village in B.R.Hills last year, and now the plant is full of lacy white flowers. They do not have any smell. It is a native of Mexico , Canada and the U.S.A. 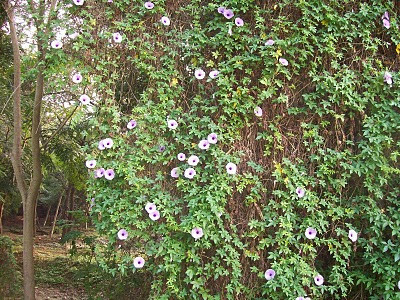 It is used as a hedge in tribal villages. 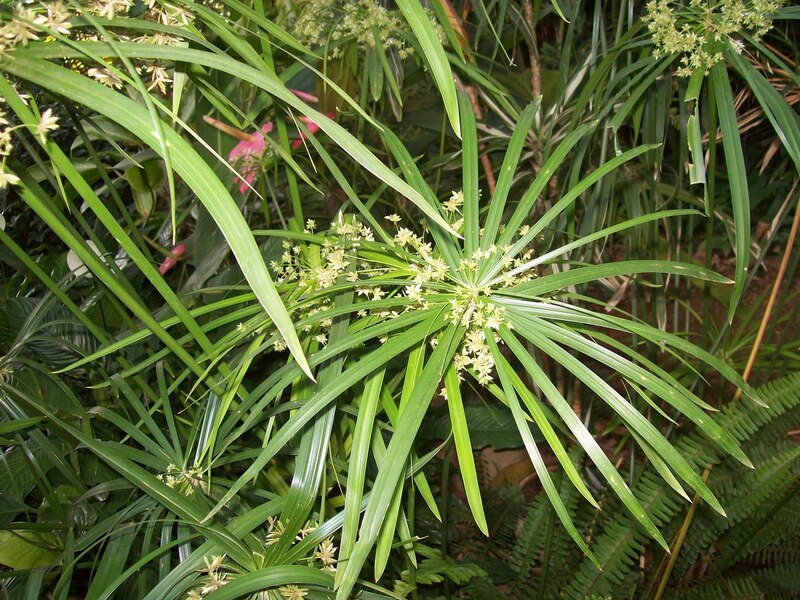 Wikipedia says that the flowers and berries are edible, but the rest of the plant is poisonous. 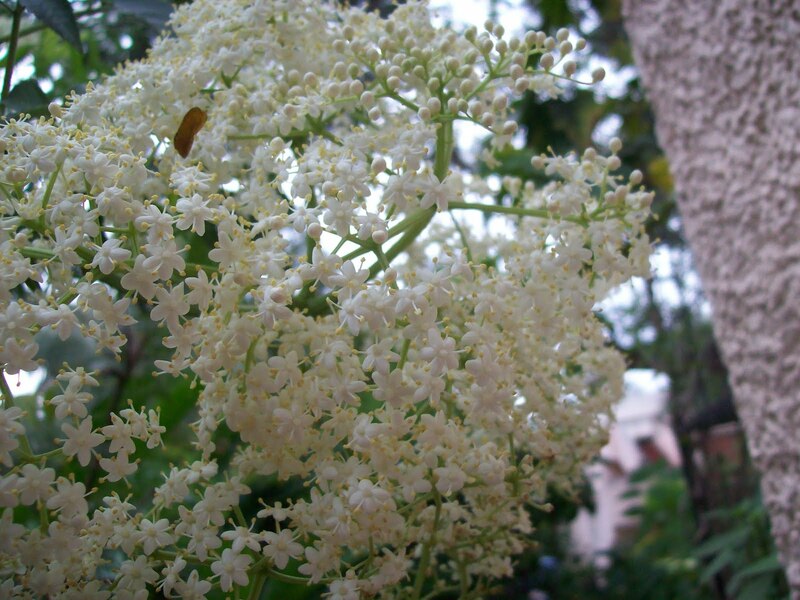 At first, the local butterflies did not recognise the flower and they were not pollinated. Now , the plant is besieged by pollinators and their predators, and there are bunches of dark berries .I forgot to ask the tribals whether they ate the fruit ,which I am scared to eat. I tasted one berry today, and it was nothing great. Where grow! Where grows it not! In vain our toil. Please visit my other blogs if you have time. I am a natural gardener living in South India.The exuberant tropical garden that has grown around me is completely organic and critter- friendly.Different frogs, birds, butterflies and other winged creatures live in my garden or visit it, including some of the creeping kind. All are welcome except the four legged kind. I love to travel and to learn new things.